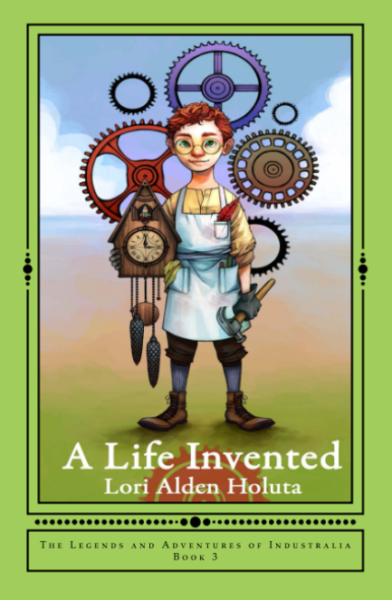 Lori Alden Holuta lives between the cornfields of Mid-Michigan, where she grows vegetables and herbs, when she’s not playing games with a cat named Chives. She’s fond of activities from the past, including canning and preserving, crochet and cooking. 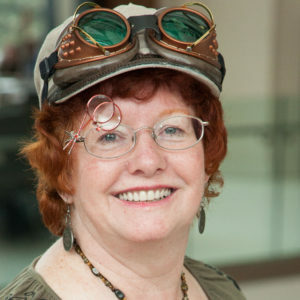 Her first novel, a Young Adult Steampunk Comedy Adventure called The Flight To Brassbright is available at all the usual outlets. 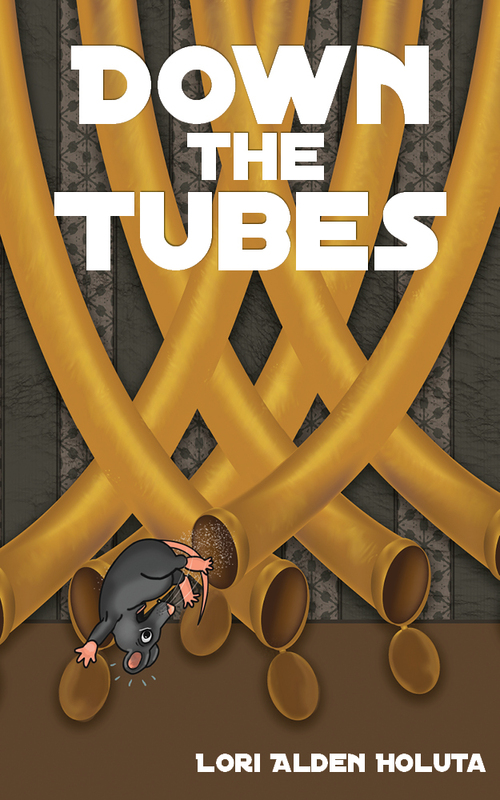 The sequel, Down The Tubes arrives in the Summer of 2016. Book three, Off The Rails is currently in development. Complimentary copies of my books are available to reviewers. Please use the contact form at the bottom of this page to make a request. Click through any photo for a high-resolution graphic. 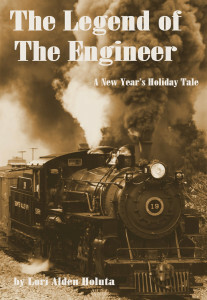 Constance is a wild, stubborn young girl growing up poor in a small industrial town in the late 1800’s. Beneath her thread-worn exterior beats the heart of a dreamer and a wordsmith. But at age twelve, she’s orphaned. 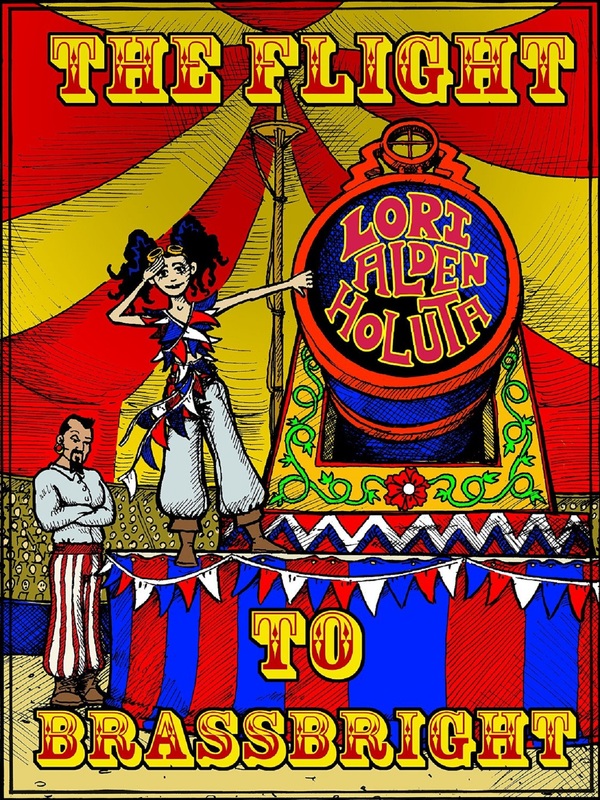 Running away to join the circus—like kids do in adventure books—seems like such a brilliant idea… or is it? Constance is a wild, stubborn young girl growing up poor in a small industrial town. But beneath her thread-worn exterior beats the heart of a dreamer and a wordsmith. She feeds her hunger for reading by picking the lock on the local bookstore late at night to enjoy her own private reading room. But at age twelve, she’s orphaned. With no relatives to take her in, the local authorities scheme to take charge of the bewildered girl’s life. Running away to join the circus—like kids do in adventure books—seems like such a brilliant idea… or is it? “Now the fun begins!” Paisley whispered excitedly as she grabbed Christopher’s hand and started running. The boy quickly untangled his feet and matched her pace. “Do exactly as I do!” she gasped, as they ran around to the street in front of the building. Welcome to the busy, industrial port city of Steamkettle Bay, the second-largest city in all of Industralia. It’s filled with manufacturing factories, airship docks, inventors, artists, and lots and lots of streetwise, clever kids. 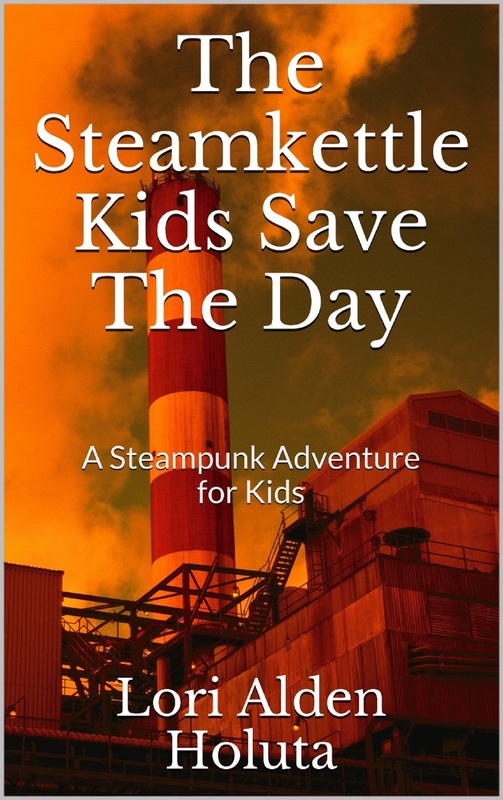 It’s a warm Saturday in the summer of 1872, and somewhere in Steamkettle Bay, bad things are happening. Can Paisley Pockets and Christopher Cogan stop a crime in progress? 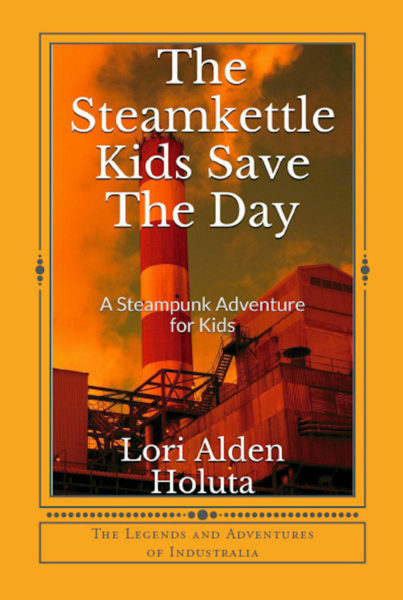 They may be just a couple of kids, but where there’s a will and, some smarts, there just might be a way. “Happy Coal Week, Missus Liddle!” a high-pitched voice shouted from the backyard, just beneath the kitchen window. Letitica blew a puff of air upwards to move a wayward strand of hair out of her eyes as she set the cookie sheet down on the countertop to cool. Then she glanced over towards the source of the disembodied voice. Through the open window, she saw the familiar auburn-colored ringlet curls of Margaret, a neighbor’s little girl. As she jumped up and down under the window, trying to get a glimpse inside, her hair bounced around like a boxful of springs. Despite being too short to peer in the window, she occasionally managed to jump high enough to catch a quick glimpse of the sweets Letitica was preparing inside. Join Gerard and Letitica Liddle, along with their friends and neighbors, in a crowded yet cozy Steamkettle Bay neighborhood called The Narrows. Excitement is building as everyone prepares to welcome in the New Year of 1883. 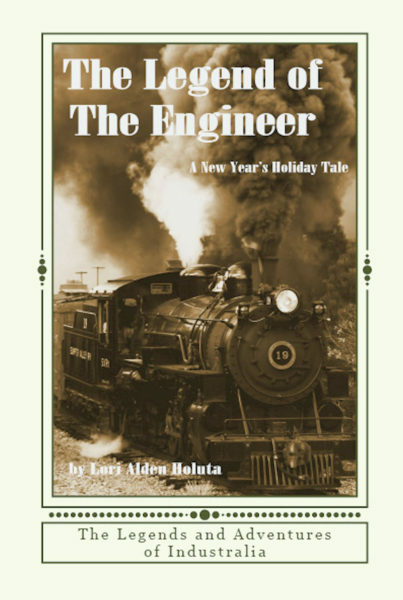 A holiday story set in Steamkettle Bay, a large port city on the western coast of Industralia. This story features Letitica and Gerard Liddle, characters introduced in my first novel, The Flight To Brassbright. Gerard is a talented inventor who has achieved a modest level of success with his whimsical yet practical household inventions. His wife Letitica is a short, energetic woman who has a habit of mixing up her words, usually with hilarious results. Come now as we join the Liddles, along with their friends and neighbors, in a crowded yet cozy Steamkettle Bay neighborhood called The Narrows. Excitement is building as everyone prepares to welcome in the New Year of 1883. 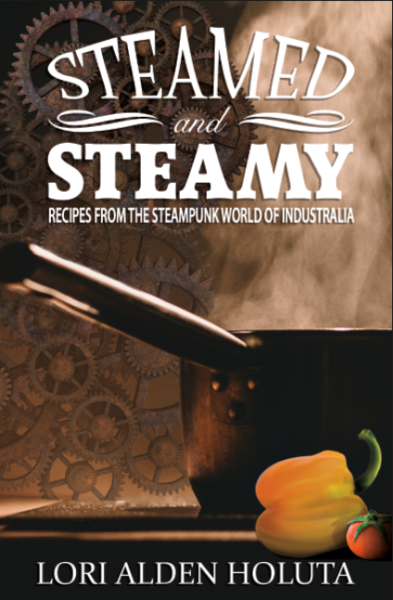 Synopsis: The fictional country of Industralia is populated with creative eccentrics, high-flying airship crews, dazed automatons, brilliantly cracked inventors, adventurous explorers, mischievous kids and more. What they all have in common is a love of food. Breakfast, especially. Well, not the automatons, of course, though many of those serve as waiters or other food service workers. To be born in Industralia is to be born a foodie. This cookbook was inevitable. 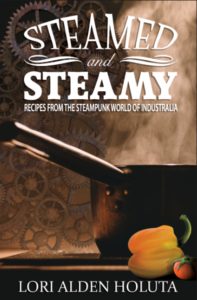 Within these pages you’ll learn how to cook many of Industralia’s favorite foods, from breakfast right on through to late night snacks. You’ll even learn how to make some traditional “Coal Week” holiday treats.